South Dade Toyota of Homestead is committed to providing the care and expert service that our guests come to trust. Our Toyota-trained technicians have spent thousands of hours understanding each and every Toyota vehicle and use only Genuine Toyota parts to service and repair your Toyota. Come see for yourself how our team of experts help keep your toyota a Toyota. 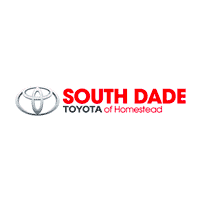 South Dade Toyota of Homestead is conveniently located in Homestead servicing Toyota’s Homestead. 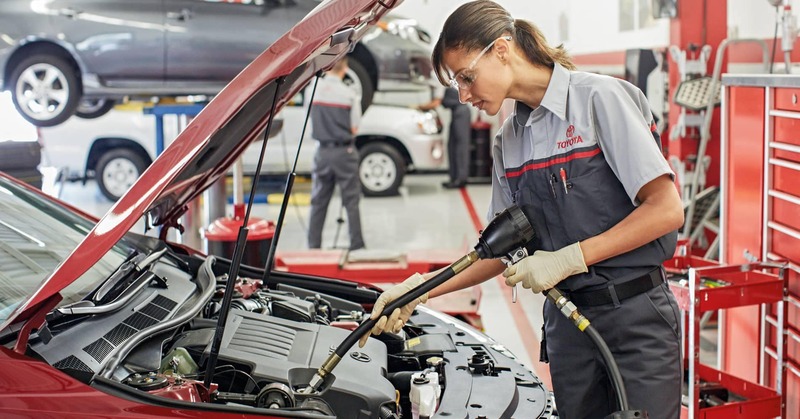 South Dade Toyota of Homestead has expert technicians on staff to handle your repair needs or oil changes, tire rotations, battery replacement, brake repairs and all other Toyota Factory Scheduled Maintenance. We know no one likes having to think about bringing their car in for service. And we know they like actually bringing it in even less. That’s why our service department here at South Dade Toyota of Homestead will work with you in any and every way we can to ensure your vehicle’s service is taken care of quickly, efficiently and completely so you can get back on the road and on with your life. To make things even easier, you can take care of scheduling your service appointment on our website or you can call any of our experienced service technicians if you have further questions or needs. We’re here to work with you so you don’t have to worry about a thing. We know there are a ton of places around Homestead to take your vehicle in for service. We also know South Dade Toyota of Homestead is the best out of all those choices. And it’s not just because we don’t want you to go anywhere else. It’s because we have the best team of factory-trained technicians around. And they use only the highest quality equipment and parts in the business. Our only goal as a dealership is your complete satisfaction. That goes for our service department, too. As we said before, we know you don’t want to have to worry about being without your vehicle. That’s why we’ll help you fit your service needs into your busy schedule and make any accommodations needed to make sure your service appointment is as hassle-free as possible. We’re here to work with you. Whatever you need, we’re here to help. And if you don’t know what you need, we can help with that, too. Just get in touch with us and we’ll get you and your vehicle back out enjoying life.